SURPRISE, AZ - Purchase tickets now to the 5th Annual Cancer Treatment Centers of America Tennis Championships, presented by Sanderson Ford and Lincoln, and get entered to win a VIP package upgrade for FREE! Each ticket purchased by August 31st enters you into a special USTA drawing where you will have the opportunity to win one of many VIP packages including a spot in one of the Player Clinics, an exclusive VIP Meet and Greet opportunity or a ticket to a VIP Cocktail Party with the players. VIP Packages offer a unique and exciting experience to get up close and personal with tennis legends like Michael Chang, John McEnroe or Martina Navratilova. Tickets are $75 for Gold – Lower Level and $60 for Gold – Upper Level. You can also purchase a Two Day Package which includes premium reserved seating for both sessions ($130 – Lower Level / $100 – Upper Level). Tickets can be purchased online at www.ticketmaster.com, over the phone through Ticketmaster at 800.745.3000 or in person at the Community & Recreation Services office. Use promo code USTA12 to be entered into the drawing. 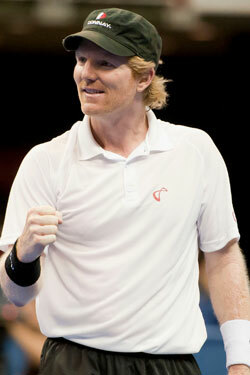 The tournament will return to the Surprise Recreation Campus – Tennis & Racquet Complex October 12-13, 2012 and will feature tennis greats John McEnroe, Jim Courier, Michael Chang, Todd Martin, Martina Navratilova, and Tracy Austin. This year’s event will include 2 sessions. Friday, October 12 will consist of an exclusive Mixed Doubles Match with Navratilova, Austin, McEnroe and Courier preceded by a singles match featuring McEnroe and Courier. Saturday, October 13 will showcase a foursome of greats paired off in two 1-set semifinals followed by a 1-set championship match. Surprise is the first of 12 stops on the National PowerShares Series tour, a competitive tennis circuit for tennis champions over the age of 30. The Community and Recreation Services Office is located at 15960 N. Bullard Ave. Office hours are Monday through Thursday, 7am – 6pm. 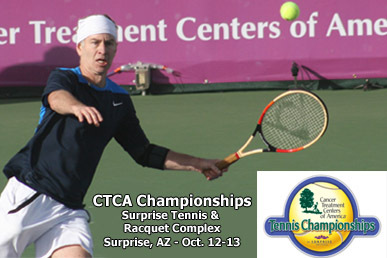 For more information on the tournament, visit www.surpriseaz.gov/tennis or call (623) 222.2222.